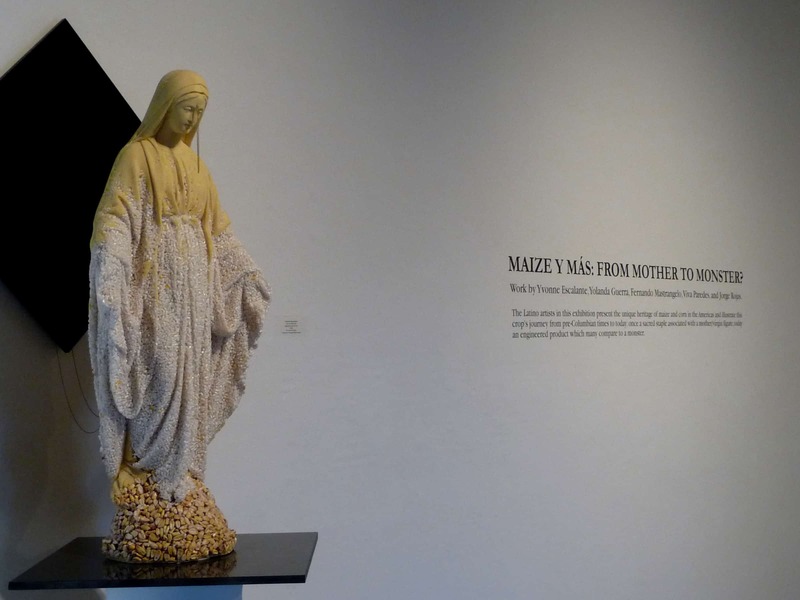 The artists in this exhibition present the unique heritage of maize and corn in the Americas and illustrate this crop’s journey from pre-Columbian times to today: once a sacred staple associated with a mother/virgin figure, today an engineered product which many compare to a monster. 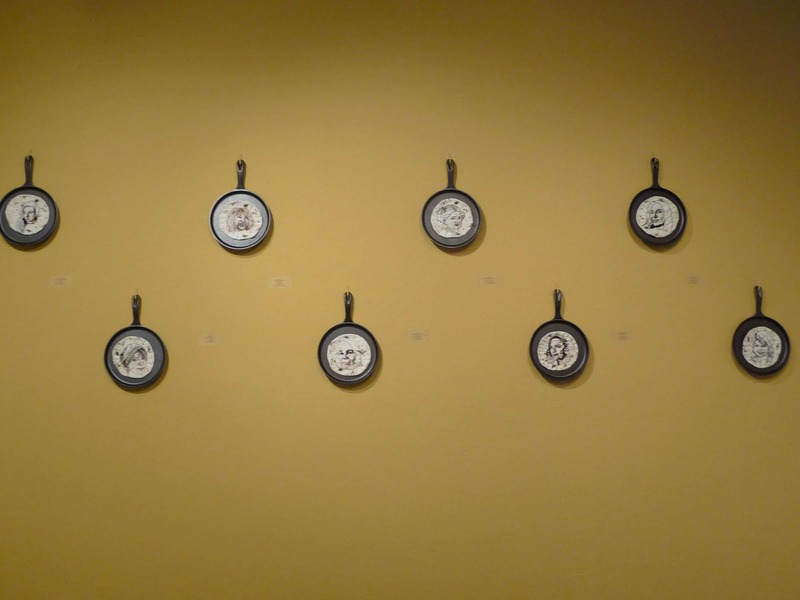 Painting, sculpture, mixed-media work, video, and performance express conceptions and interpretations of food and corn through themes of colonial history, personal identity, ethnicity, family, community, and even divinity. In the Americas, corn (maize, maíz) has a unique heritage. From pre-Columbian times to today, corn is a dominant feature of social, cultural, political, economic, and food systems. 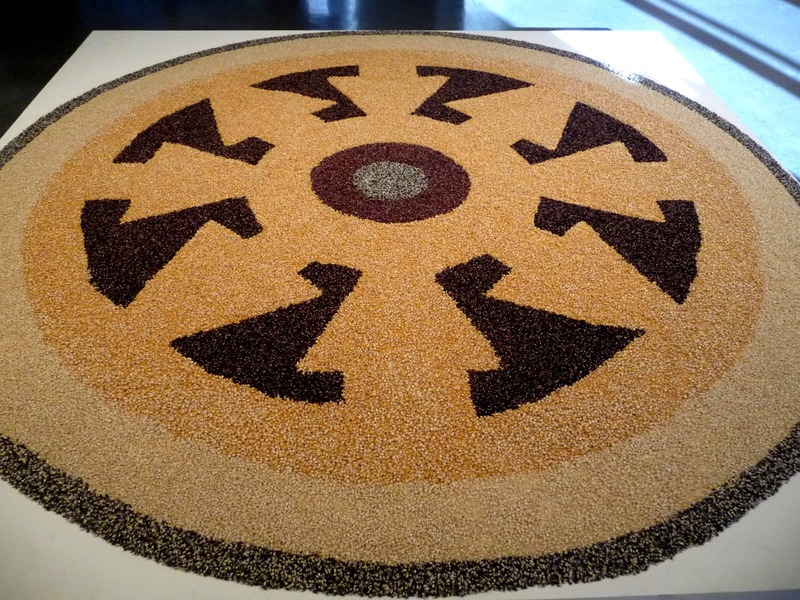 Aztecs, Mayans, and Mesoamerica in general revered this crop. Gods were created in homage to corn, and many indigenous and pre-Columbian cultures believe that human beings were made of corn. Today, 40% of U.S. corn is genetically engineered, likely different from its pre-Columbian cousin. Still, corn, one of the first domesticated foods, has a history full of ritual, expectation, and myth. 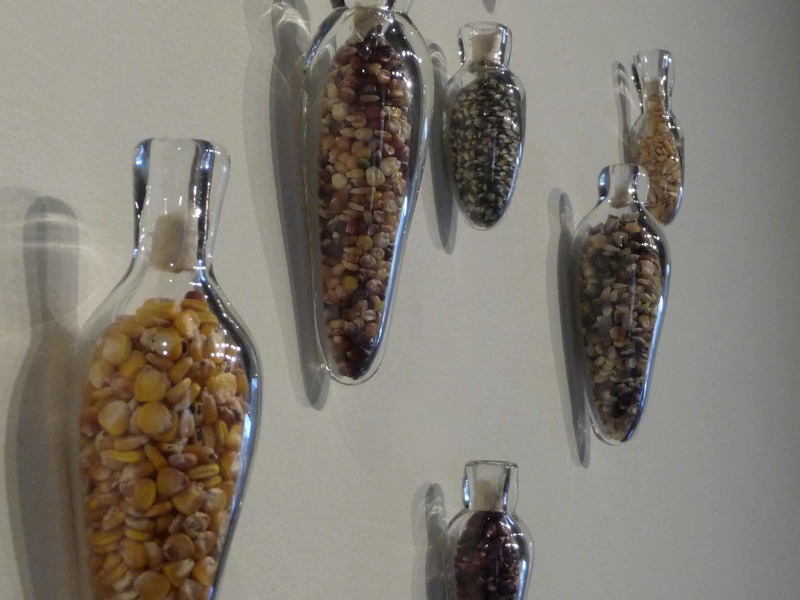 The artists in this exhibition pay attention to our complex historical and contemporary relationship to corn, illustrate the role it plays in our current food system, and explore the idiosyncratic role of corn in Latin American culture.